The show initially was going to have a ninth season. However, the ninth season was to be on the (then) new WB Network as an old, "classic" show to help launch the new network and lineup. John Stamos (Jesse) did not like how the show was being dropped from ABC, a top three network, and moving to a fledgling new network and announced that the eighth season would be his last. Candace Cameron Bure (D.J.) also planned on the eighth season as her last, doing sporadic guest appearances during the ninth season as her character D.J. came home to visit from college during the holidays, as Cameron in real life was planning on going to college after season eight. 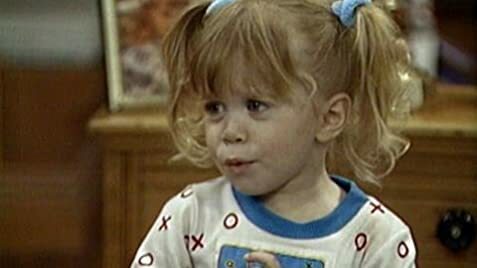 After these two announced their departures, the others decided that it was time to call it quits, and the writers decided the series had gone as far as it could go, and the eighth season on ABC (1994-1995) ended up being the final season for Full House (1987). In the episode where Joey is playing in a charity hockey game, the whole gang goes to the ice skating rink. When Jesse is first stepping out on to the ice, he already has big wet spots on his knees.